The concrete stadium seats are packed with young people carrying bass drums, air horns and cow bells, striking up at a deafening roar as soon as the opposing team comes to the plate, and keep up the cacophony throughout their rival’s at-bat. Vendors roam the aisles selling peanuts in rolled-paper cones and boxes of popcorn, while salsa music blares over the loudspeakers between innings. Despite the din, the crowd pays close attention to the game, cheering at a tricky infield pick-up by their short stop, and booing at a questionable ball called against their pitcher. Even though the game is close, I have a hard time concentrating on it, trying to take in all the details of the action off the field. 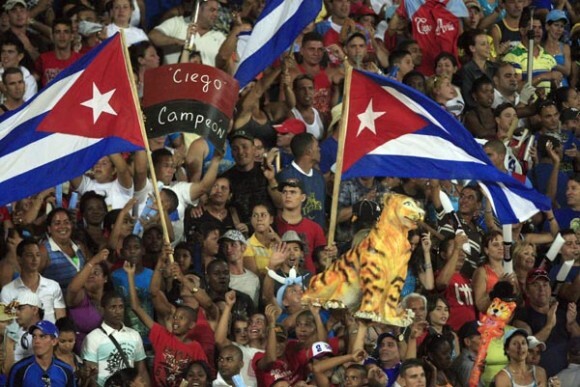 This is playoff baseball in Ciego de Avila, Cuba, a small city about 290 miles east of Havana, where the hometown Tigres are playing the favored Vegueros (tobacco farmers) from Pinar del Rio. My father and I are on the first night of a brief road trip through the heartland of Cuba. We had come to try our hand at fly fishing for bonefish in the keys (or cayos) on the north side of the island, and after spending three days fishing in Cayo Romano, an undeveloped key next to the somewhat over-developed Cayo Coco, we decide to explore the mainland. While Cayo Coco and neighboring Cayo Guillermo (where Hemingway spent time and set part of his last novel) are home to some truly gorgeous beaches, they are largely devoid of any authentic Cuban culture. The first resorts here were built in 1993, and for years Cuban citizens were not even allowed on the island. While that has changed, there are no towns on the keys, just a string of sprawling hotels staffed by Cuban workers who come across from the mainland each day. 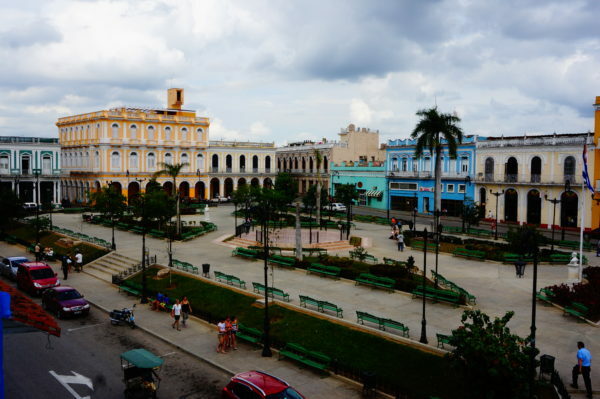 Plaza in Sanci Spiritus. Photo by Bart Beeson. So, in search of the ‘real’ Cuba, we rent a car and begin our trip by crossing the causeway connecting the keys to the mainland, and head towards the city of Sancti Spíritus. Sancti, as it’s known to locals, is a sleepy colonial town with cobblestone streets and quaint plazas that’s often compared to the more popular destination of Trinidad, but without the crowds of tourists. We spend several hours exploring the town, stopping into the local library – a beautiful building with Hellenic columns and great views of the town’s central plaza — and then making our way to the scenic Yayabo river bridge, built by the Spanish in 1815 and now a national monument. 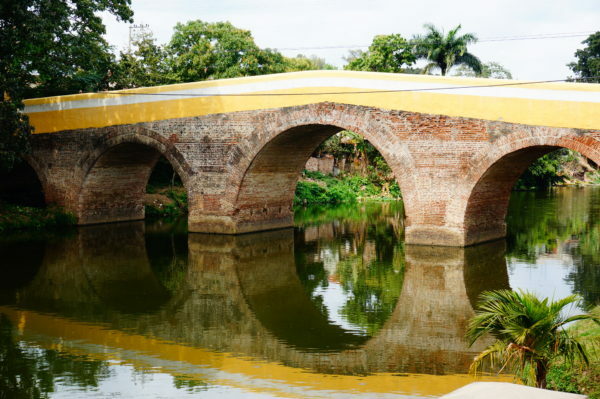 We order cold drinks at the Yayabo Tavern to take in the views of the bridge reflected in the river below, and to visit the adjacent guayabera museum– showcasing the origins of the popular white, pleated shirt said to have originated here. Yayabo Bridge. Photo by Bart Beeson. From Sancti, we head to the city of Ciego de Avila, where we’re told there’s a baseball game at night. Instead of booking a hotel room, we decide to play it by ear and see if we can find a ‘casa particular’ – or private homestay — in town. We find one in the guidebook within walking distance of the stadium, and while the friendly owner tells us her two bedrooms are full, she gets on the phone and makes arrangements for us to spend the night at her friend’s nearby homestay. Once there, the chatty owner invites us inside and immediately starts telling us about her children who live in the states, asks our thoughts on U.S.-Cuba relations, and offers to move their ’55 Chevy out the garage so we can park there. We stay on the second floor of the house – consisting of a bedroom, open living and dining room, and full bath – as well as a large patio area – all for the bargain tune of $25 a night. It turns out the owners are also big baseball fans and are excited to hear that we’re heading to the game, even providing us with some local Cuban pesos to pay for admission. While most tourist areas operate solely on convertible pesos—what you get when you exchange money at official currency exchange offices — once you get outside of those areas it’s helpful to have the local money to pay for small things, like an espresso in a coffee shop. A convertible peso or CUC, which is pegged to the dollar, gets you about 24 Cuban pesos, so a few CUCs go pretty far if you’re paying with the local currency. We end up getting the two admission tickets, two ham and sausage sandwiches, two soft drinks and a couple pieces of fried dough – all for about $2 USD for the both of us. We even get a three peso Cuban note with Che Guevara’s image, a popular souvenir for tourists, as change from a vendor. From Ciego de Avila we start to make the roughly 70-drive to the city Camaguey. Although we are travelling on the national highway – the main road that cuts through the middle of Cuba – as with many things on the island, progress is slow. We share the two-lane road with numerous horse-drawn carts, people on horseback, trucks and buses, and lots of bicyclists. The road is narrow enough in most spots that we don’t even have room to pass a cyclist if a car is coming the other way. But in Cuba you quickly learn that things are probably going to take a little longer than you think they’re going to – and that’s okay. 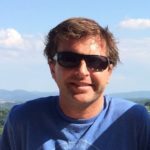 As we had learned after a first few days here, things are probably not going to go exactly according to schedule – the bus might be a little late, your driver might have to make a stop to pick up a friend, the rental car you had reserved isn’t there, etc. We realized early on that if you don’t accept that pretty quickly and roll with it, independent travelling in Cuba could be a frustrating experience. But at the same time it’s part of the charm. Step away from our usual rush to get from point A to point B in the shortest time possible, traveling on six-lane highways where the only things to really see are billboards and traffic signs, and you can observe a lot. We pass through small towns, often at a snail’s pace, and get to catch a glimpse of daily life in Cuba, which often doesn’t look like it’s changed much in 50 years. We see old men playing an animated game of dominoes, kids playing street ball, and men selling garlic, the bulbous heads draped across their shoulders like bandoliers. And at our slow pace we have ample time to read the ubiquitous signs with inspiring revolutionary quotes from Che and Fidel. 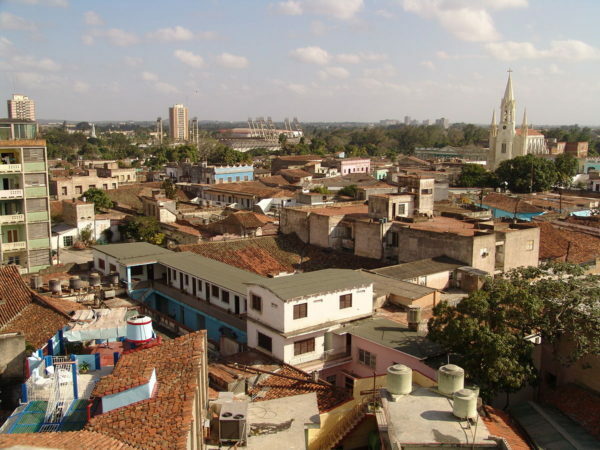 We finally make it to Camaguey, third largest city in Cuba behind Havana and Santiago, but without the tourism presence that the latter two cities have. While the guidebook makes it sounds like trying to drive the winding city streets would be akin to navigating a Moroccan medina, we manage to make our way to the city center without much hassle and set off trying to find a ‘casa particular’ for the night. As in Ciego de Avila, the first place we check is booked, but the host seems genuinely crestfallen that she cannot host us, and walks us the several blocks to her friend’s establishment – an old colonial house with a beautiful open courtyard in the interior. We spend the day in Camaguey mostly wandering the city, stumbling upon cobblestone plazas and baroque churches. We also spend some time perusing the Camaguey cemetery, with beautiful gothic statues and mausoleums (although, like many things in Cuba, it looks like it could use a little upkeep – we spot at least one broken grave with what appear to be human bones poking out.) We make a quick stop at the 1930’s-era Gran Hotel (one of the very few places we find where my dad can satisfy his Diet Coke fix), which also offers great views of the city from the rooftop bar, giving us a whole different perspective on some of the churches we had visited early in the day. The highlight of our stay, and possibly of the whole trip, is our post-dinner stop at the Ignacio Agromonte Park, named for a local hero from Cuba’s War of Independence. My father smokes a cigar, and I drink a local Cristal beer, and we relax on the marble benches surrounding the equestrian statue of Mr. Agromonte. We watch couples stroll around the plaza hand in hand, young kids racing around playing a very literal version of kick-the-can – consisting of kicking a can and racing after it, again and again – and families using the public Wi-Fi network to make video calls to friends. Things in Cuba are changing rapidly these days, with commercial flights from the U.S. having resumed and U.S. citizens likely being able to visit the island as tourists in the near future. Sitting in that plaza, however, with the 50’s-era Fords and Chevys parked on the street, those changes seem like a distant reality. Much like the baseball game, it feels like a movie scene, detailed sets that were prepared for us to replicate Cuba from another time. But this is 2016, and it feels both authentic and anachronistic at the same time. It’s hard not to wonder how long it will stay that way. 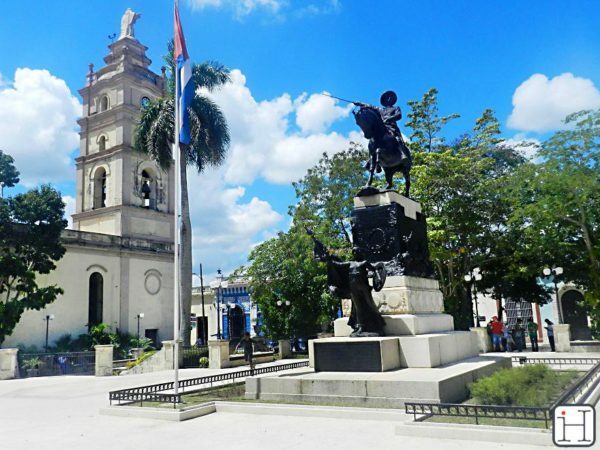 Plaza in Sanci Spiritus. Photo by Bart Beeton.